Did you try grabbing the cubemap and making a TDM def? Its a T2 object, so how I extract it..? Is that from the HD Mod or EP2? Actually it's possible to have much better clouds than just diffuse texture. Experiment with Render -> Clouds -> Solid noise in Gimp, and make it tileable. Use the result as a mask on white image, and also paste it to nJob or use Normalmap filter in Gimp. Now you can put it in alphatest material, then put it on a plane or dome in your skybox. If you have a moon light in your skybox, it will affect your clouds as well, and it should look cool. Other cool trick, if you don't want to use transparency, is to make opaque clouds and put them on a larger dome or sphere. Just remember to give diffuse texture some dark blueish tint. Also make a normalmap for this one. Now to have something more than clouds, you can use spot light and put image of stars as a projection texture. Add glowing moon with its own light as well. Obviously, you can make those materials pan in both cases. I actually did something like that in my Cabal mission for Deadly Shadows, and it worked pretty well. While pretty they dont have the detail level and crispness that the T2 Jeremi clouds do. If you're an artist you can paint your own sky as you like but that's kinda hard. Alternatively, take pictures of the sky and try to use that as a starting point (rarely a picture can be used as is), as a fake artist this is what I would start with and then paint over it until it all comes together. Also, I'm sure you can find some free options of well detailed cube maps with nice looking skies. edit: found online a bunch of sources showing how to transform panoramic photos into cube maps. That sounds interesting. Edited by Diego, 09 January 2018 - 10:34 PM. 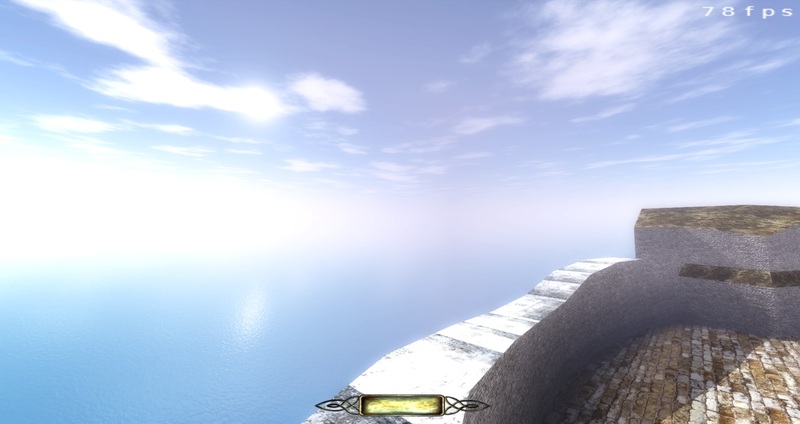 The lighting threshold of the entire level really depends on the skybox material too (at least for the realism factor). I'd highly recommend doing some brightness/contrast tweaking of the source images to really match the skybox to the rest of the world lighting. That being said, you really wanna bake any kind of flaring from moon or sun, directly into the images. Any HDR levels of cool lighting should all be saved into the cubemap, as then you don't have to worry about cloud sublayers to define details. Of course this is keeping in mind that you're creating a completely static skybox. If you want moving cloud elements, you might want to try using the depth shader SteveL made up for his water material (also see Kingsal's Volta water). The shader can be really handy at getting some extra depth in moving cloud elements but it would be some trial and error for sure. Yup, cubemap skybox isn't a bad idea. If you want something more flexible, you can download UDK and see how their example day/night maps were made. Typically their skies consist of skydome, cloud dome, height fog, and sun or moon paired with light entity. That said, it might be a bit hard to have something like in this T2 mission, since we can have either some translucent clouds or jaggy 1-bit alpha ones. Will try to tweak some stuff later. Edited by Judith, 10 January 2018 - 07:54 AM.